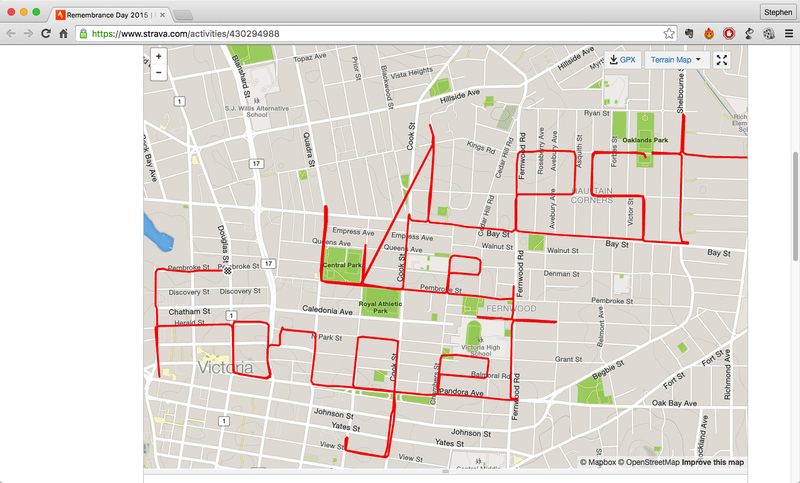 This is my Remembrance Day GPS doodle – a tribute to soldiers and service members who made the ultimate sacrifice. I biked the route on November 10, and CTV News Vancouver Island – who met me mid-doodle to interview me for a story about my GPS art – unveiled it yesterday in a story on their website and on their evening newscast. 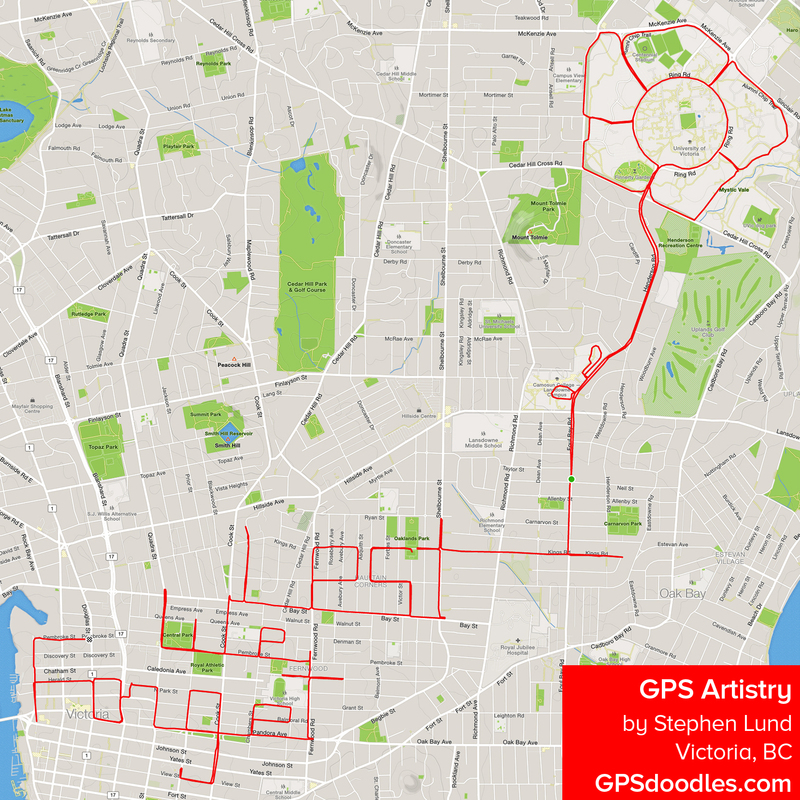 This entry was posted in bike-writing, gps art and tagged bicycle, bicycling, bike-writing, creativity, cycling, cyclist, garmin, gps, gps art, poppy, Remembrance Day, strava art, victoria bc. Bookmark the permalink.